HOT! Today Only Amazing Grass Daily Greens as low as $9 (reg. $25)- Stock up! 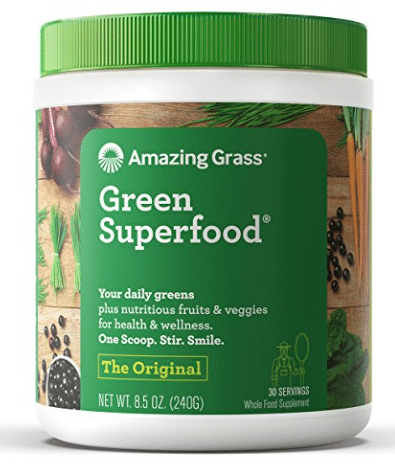 Save up to 50% off Amazing Grass superfood blends with this Amazon Deal of the Day! This is a great way to get your daily greens in. Choose from 5 different sizes and flavors of Amazing Grass. You can pay as low as $9.15, when you choose Subscribe and Save, for an 8.5 oz. container of Amazing Grass organic powder. As a price comparison, Target sells Amazing Grass in this same size for $24.99, so this is an awesome price! Stock up!